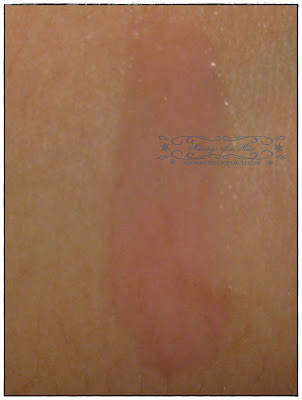 Clarins Nature Temptation Collection for Spring 2009 is currently topping my favorite list! I just got my hands on a majority of the collection yesterday and I have to say it’s turning out to be something seriously special. I’ve decided to do separate reviews for each product in the release because I can concentrate more on each review and offer more details etc…. 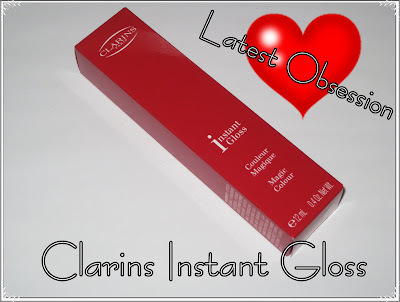 One item that’s currently topping my latest obsession list is the Clarins Instant Gloss which was released with the Spring Collection. 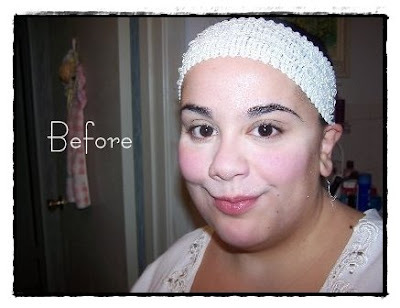 Read more why I love it and think you need it after the jump! 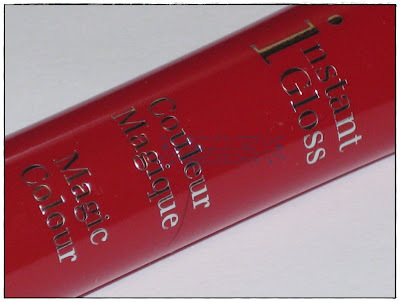 Well, you’ve seen the concept before so it’s nothing new but Clarins Instant Gloss is a transparent gloss that creates an instant shade of unique pink to suit your skin tone. 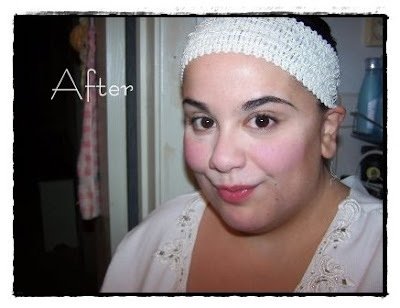 We’ve been introduced to this concept alot lately with Smashbox O-Gloss, Tricia Sawyer Clearly Pretty, and as of recent Too Faced Mood Swing Gloss. 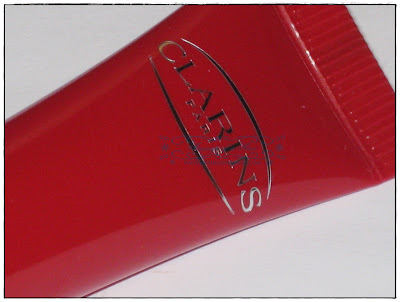 Ok, I did groan when I heard about yet another gloss changing formula…it’s sorta old news and a majority of the time I really don’t even like the shade it turns my lips however so NOT the case with Clarins Instant Gloss. This particular gloss happens to be quite unique and different when compared to the competition. Although the idea of another “perfect pink” gloss held little appeal I knew that Clarins, if anyone, would perfect the idea and make it it’s own. 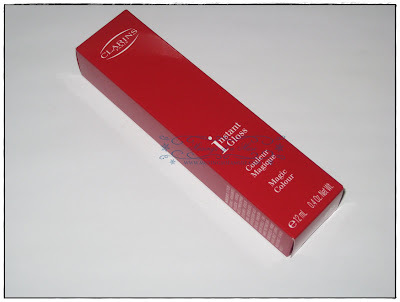 And indeed they have excelled at making Clarins Instant Gloss a truly great product. 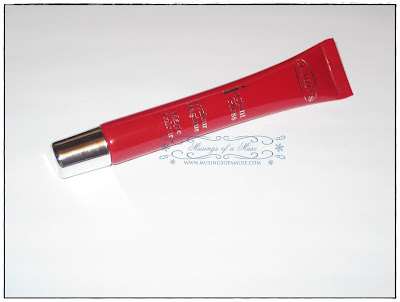 Clarins took Instant Gloss and made it into a semi-glossy formula with the perfect amount of pink to make lips natural, shiny, and truly gorgeous looking. I think natural is the key word here. 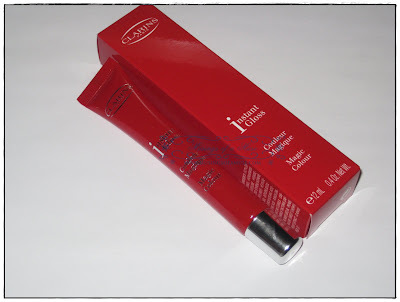 I do so associate Clarins with sophistication and they take that element and make this gloss completely wearable for those seeking a more mature look. 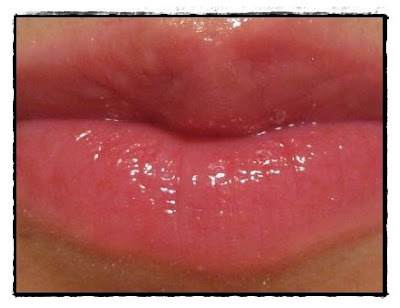 Please don’t be scared when I say “mature” as the gloss is truly a flattering shade of pink when it does turn. I suppose what I am getting at here is the fact that the shade of pink happens to be very subdued, natural, and in keeping with flattering your lips while not overpowering them with a loud burst of color. The formula of the gloss isn’t particularly glossy but it does offer just the right amount of shine and mirror-like finish for a nice, quiet look. 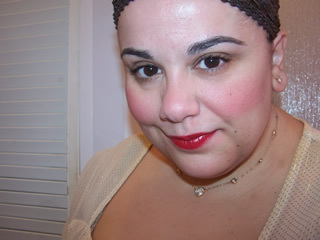 The shade of pink it turns my lips enhanced the color of my natural lips while keeping a nice sweet pink color. 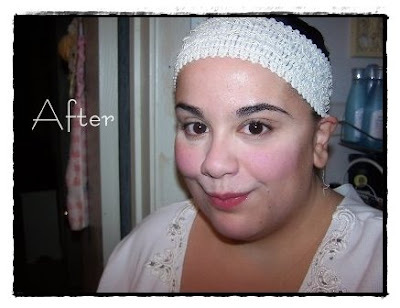 All in all I was very, very pleased with the product and will repurchase it again. I’m unsure if this is limited edition or not and truly if it is I may need to go back and grab another one because it’s currently topping my latest obsession list. When swatching I noticed that the gloss barely changed color but on my lips it changes quite nicely! As you can see from my pics below the gloss gives me just the right bite of color without appearing out of place or unnaturally pink. Truly the gloss is a great introduction to Spring and will go wonderfully well with cool shades of shadow, softly blushing cheeks, and a more natural, fresh look. The Muse loves it and recommends checking it out for yourself. It comes with the highest form of Muse Approval for purchase. 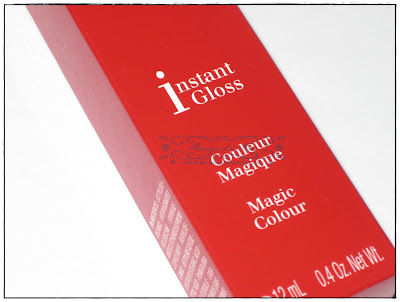 Clarins Instant Gloss is available now at Clarins website or your local Clarins counter for $22 USD.